I’m noodling these days on the theme of program evaluation — those times when we step aside and take stock of what we’ve done, what we’re planning to do, where we’re succeeding, and where we’re failing. It’s also a time to really step back and see if the PR/marketing/branding/lingo we’re engaging in matches the work that we’re doing. In school makerspaces (K-12 and college), how do we grow the skills of returning students even as a new batch of beginners may come to our school each year? What do we want people to know and be able to do? This is a question borrowed from Wiggins and McTighe’s Understanding by Design that feels resonant here. A recent visitor from the maker movement in China said to a group of us last week, and I paraphrase, “In the U.S., people are very focused on ‘how to use a 3D printer’ or ‘how to use a laser cutter.’ You should be thinking about how you grow a business or make a product.” Now, I’m not an entrepreneurial maker, and I know that while a small slice of our makers will become that, what is our purpose? 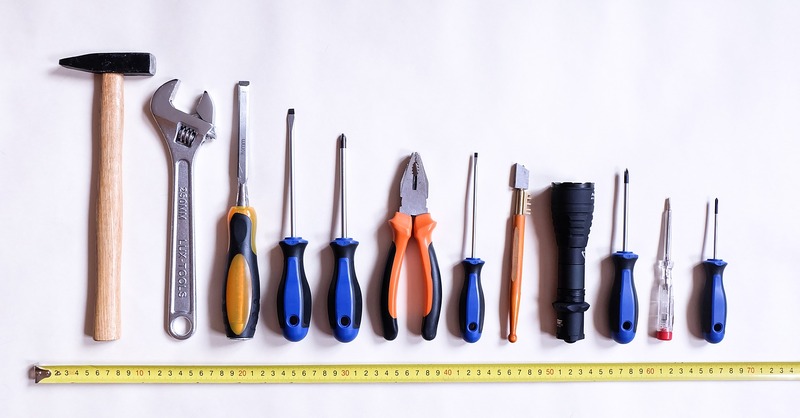 It’s not learning tools (after all, our predecessors didn’t walk around bragging about their mastery of hammers and screwdrivers) … what is this skill development leading to? Building on the statement above, how are libraries and librarians supporting entrepreneurship related to making (and not to making) in their communities? How can our role as information sherpas position us well to help folks track down the research, paperwork, and intellectual property questions that will help them grow? What really is the role of human workers in U.S. manufacturing moving forward? The maker movement is full of narratives about redesigning small batch manufacturing, turning assembly line workers into entrepreneurs, or using Kickstarter to become business owners. To be successful and financially competitive, this might mean outsourcing manufacturing out of the U.S. What is realistic to expect? Who are our models? And how much of manufacturing has been automated to the point that expecting job expansion is no longer viable? For children, what is the role of agency in making? Is it just exposure to tools? to toys that let them tinker with the “aha” moment of STEM when a true STEM career has so many other elements that compose 99% of the STEM professional’s day? Or should we be pushing them — particularly in public libraries — to accelerate or ramp up or further develop skills? Maybe said differently … particularly in school and public libraries, to what degree is maker programming entertainment vs. informal learning? How are makerspaces or maker programs planning for long-term sustainability? What kinds of planning and administrative skills do folks in libraries and schools (and other spaces, but those are the two areas I think about most) need to have to move from wowing initial funders to sustaining growth over time? How do we demonstrate success? Anecdotes? Head counts? What were the cool hip things in the early maker movement that are now ready to be phased out or replaced with other things now that we have a better handle on what is novelty vs. what is deeply engaging? Maybe said differently … why do people return over and over to use sewing machines more than they return to use 3D printers? How “accountable” should schools-based maker programs be to achieving a set of standards versus staying open-ended? How does that impact long-term support and/or funding? I’m wondering — what kinds of program evaluation/measurement are you doing related to maker work in your space?